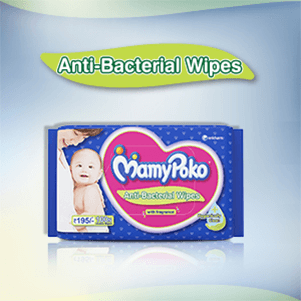 MamyPoko Pure & soft Wipes are suitable for new born babies as it has purified water for cleaning baby's bottom safely. 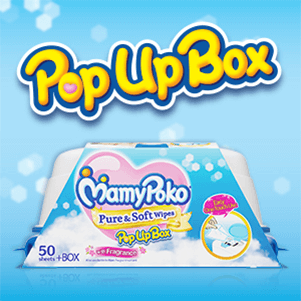 The pop box makes it very easy to use and it is also refillable with MamyPoko Pure & soft Wipes. 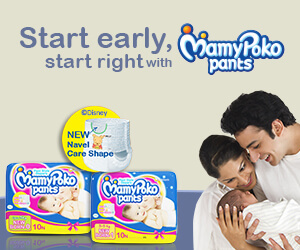 It's cottony soft sheet is thicker which helps the wipe to hold extra moisture, a mild fragrance gives the feeling of freshness to new born. 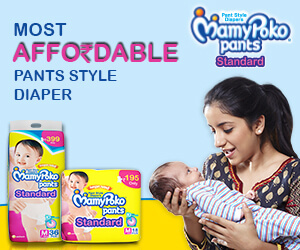 It also comes in a non-fragrant variant.